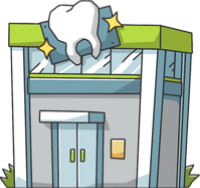 These are the most common insurances accepted by Dentists in Lafayette, LA. This is awesome dentist and office. I love visiting the place. The staff is great and usually fit me in around my busy schedule. It's very modern and has a nice waiting room with toys for the kids. Dr. Theriot is very professional and has a great bedside manner. I would recommend this place for everyone children to adults..
Dr. Theriot is my favorite dentist by far! His office is clean & the staff members are kind & efficient! My kids love him too!. This place is truly amazing from the receptionist to everyone in the back. I am truly afraid of the dentist and they specialize with that. The work I had done caused me to be there a while and they made me feel like I was at the spa from putting blankets on me cause I was cold and putting me head phones on so i wouldnt hear the noise of tools and also giving me a neck pillow to make sure I was comfortable . Everyone was wonderful he even called my husband in the evening to check on me and the office called again the next day to see how I was. I will recommend this office to everyone I know..
Dr. Laurent and her staff are some of the best in their field! They are wonderful caring and very professional. I've been in Dentistry for 22 years and I can say I was proud to have worked in such a top notch office. Love you ladies!. Staff is amazing & dr Ann is phenomenal!!! I would never go any place else!!!. Very cool place. Everyone is very nice. Basic cleaning and x-ray so I can't comment on the other services..